This is a newly renovated loft apartment located on the third floor of a three family house. This is a very bright and open loft style apartment with 2 seperate bedrooms, a large open kitchen and a completely new bathroom. Please look at the photos! No detail has been left out! There is voice control television and lamp just for a fe of the luxuries we have provided. Just a few minutes away from downtown New Haven via car, 5 minutes to Yale, Ikea or Jordans IT. 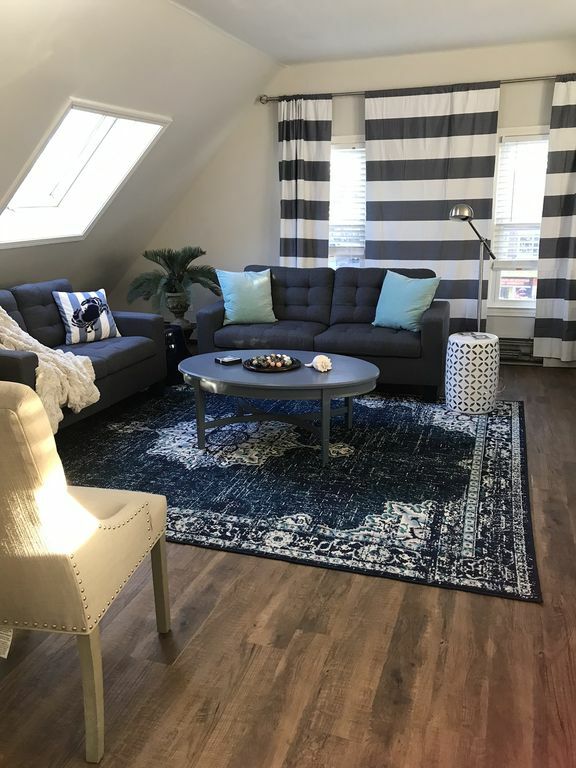 The loft is walking distance to all the shops, restaurants and the beaches of West Haven! Our house is located on the edge of the lovely Savin Rock neighborhood, with Zuppardi’s pizzeria just a few steps away you can’t go wrong staying here! On clear days you can see the ocean out the living room windows. We are only 3 streets away from the coming beachfront outlet shopping complex. Our house is only a few minutes from the local beaches, restaurants, Yale university and downtown new haven. The list is extensive of things to do. Please ask us if there is soemthing specific you are interested in doing. Odds are we have the information you need!